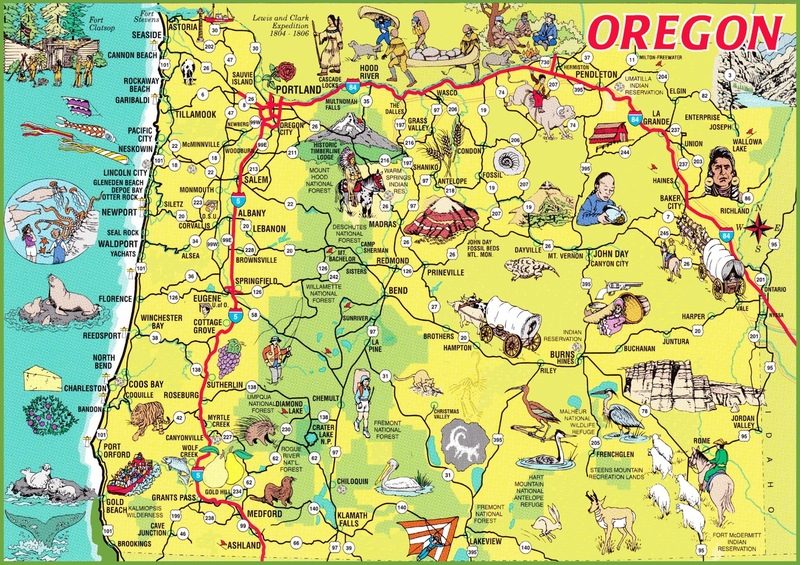 Oregon ( i/ˈɔːrᵻɡən/ OR-ə-gən) "is a state in the Pacific Northwest region of the United States. Oregon is bordered on the west by the Pacific Ocean, on the north by Washington, on the south by California, on the east by Idaho, and on the southeast by Nevada..."
"An oversupply of marijuana has led to sharply lower prices for the drug in the western American state of Oregon. However, it is also forcing producers to re-think what they are growing." "Based on actual events. More or less." "This lovely video very badly wants to be a Studio Ghibli film, but it's a tourism ad for Travel Oregon. Now we know why Alex moved there. with music by the Oregon Symphony..."